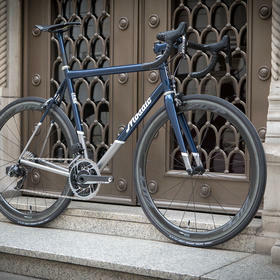 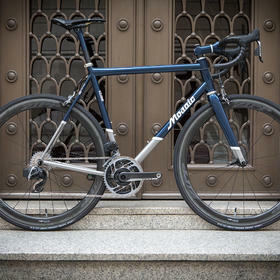 There are few sights more satisfying than a perfectly crafted titanium frame. 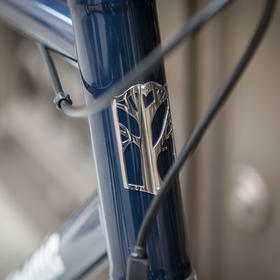 When the welds are as immaculate as on a Mosaic, hand crafted in Boulder, Colorado, the temptation is to leave the whole frame in a "raw" unpainted finish. 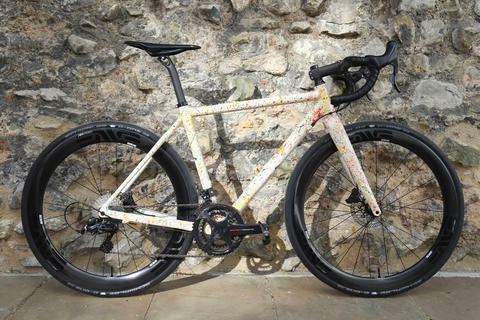 But once in a while it's a refreshing change to see a custom painted frameset, especially with matching bars, stem and seatpost. 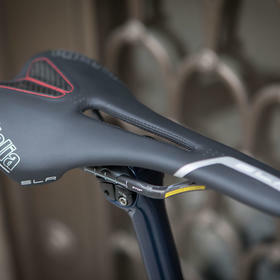 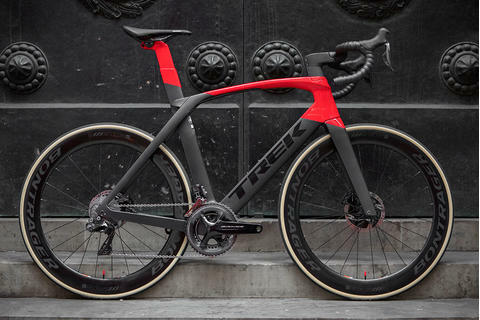 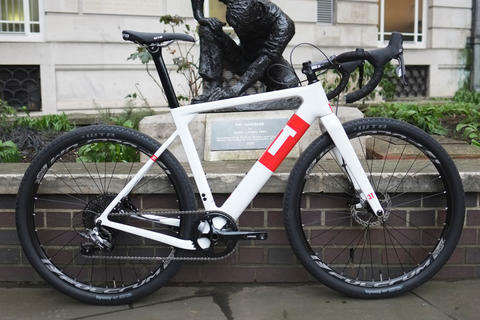 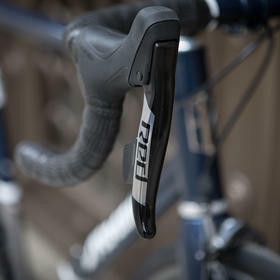 And there's still some raw ti on show, just check out those crisp transitions on the rear stays. 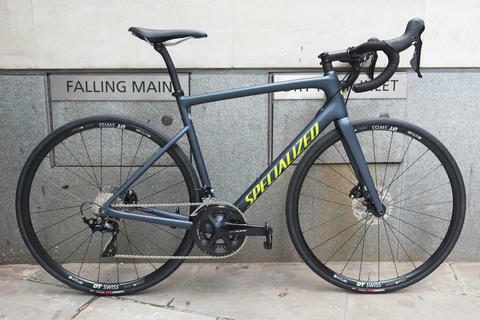 Zipp's 303 NSW carbon wheelset has a wider 19mm internal width to allow for larger air volume and wider tyres, making it the perfect match for the smooth ride of a ti frame (and whilst it takes advantage of the natural springiness of titanium, make no mistake, the Rt-1 is a race-focused machine). 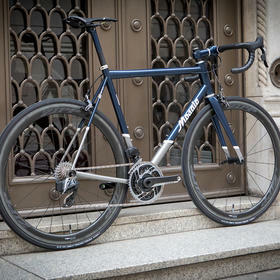 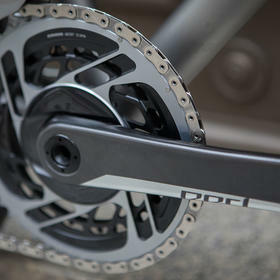 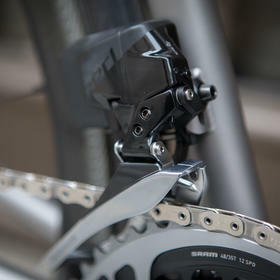 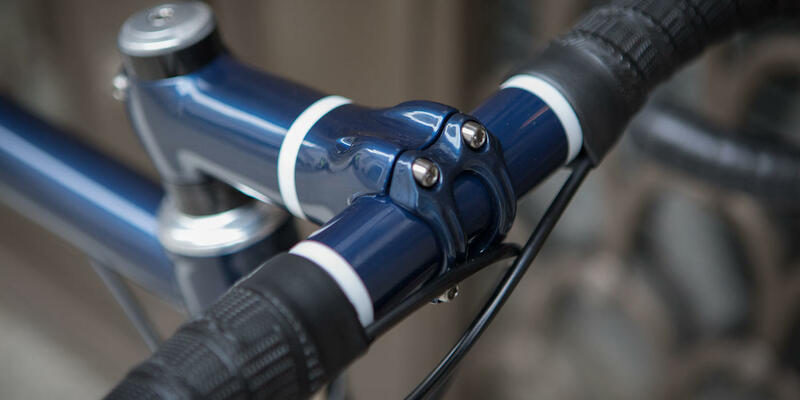 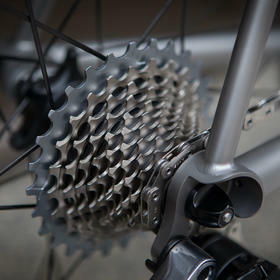 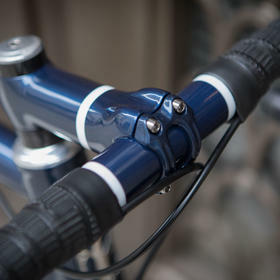 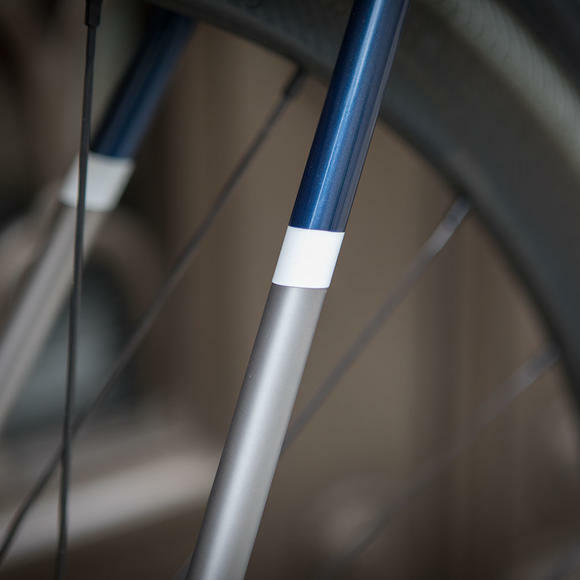 SRAM wireless shifting makes for an extremely elegant, minimalist look, whilst performing at the highest level. 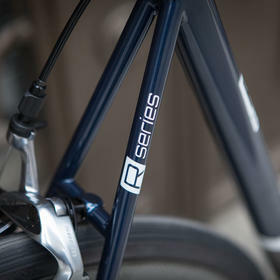 Rim brakes with internally routed cables further add to the sleekness of this build. 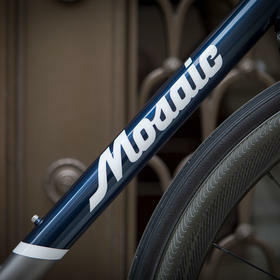 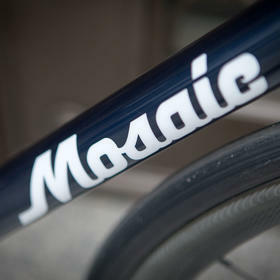 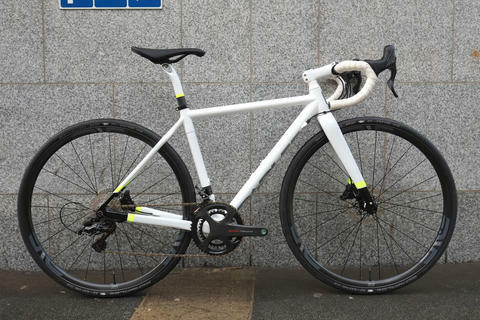 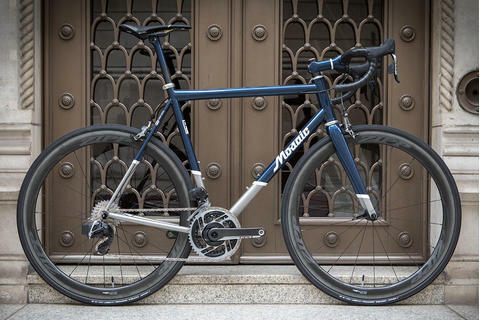 We love working with Mosaic to create unique dream bikes for our customers. 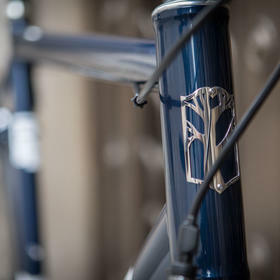 If you'd like one of your own, get in touch and we can make those dreams a reality.